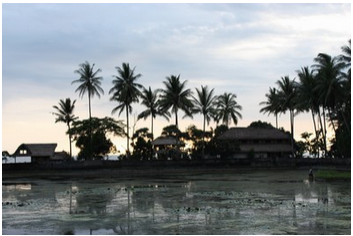 The most underrated part of Bali has to be Candi Dasa. It is a peaceful enclave that once was a tourist stronghold, but, slipped as a major tourist destination on the island for a while. Thankfully this beautiful place is having a resurge in popularity. Candi Dasa has so much to offer the traveller. Besides the beautiful beaches, markets and arty shops, Candi Dasa has some stunning sunsets. Candi Dasa has excellent accommodation in all the price ranges, some of the best restaurants on the island, and it is ideally located for visiting some of the greatest attractions Bali has to offer. It’s only a short ride to places like the Bali Aga village of Tenganan, the scenic beauty of Gunung Agung, the Tirtagangga Water Palace at Amlapura, and many more. Hotel Indonesia | Hotel Bali | Hotel Jakarta | Hotel Surabaya | Hotel Yogyakarta | Hotel Malang © 2014 All Rights Reserved.